No more the old boring weapons... This is wonderful, Bumbleguppy! It is possible to change side quest rewards ? In a way to stop dropping yellow stuff and only drop greens and a small chance blues and purples weapons/equipements ? Also when it drops a random relic, could give it full relic , instead of one single piece ? Yeah, you can change quest rewards...you just have to track down the file that the quest file uses to grant them and change that. I completely agree about quest rewards though. I hate getting some crappy yellow after nearly dying, like in act 4 against all the Nightstalkers in that cave, so I can get a yellow armband my caster can't even equip. Pfah! It's just a matter of making affix files that contain only rare affixes and linking them to the quest reward. The only way to drop a full relic is to create a custom relic that is set to only have one piece. Like that reward in Act 5. It's a one piece charm. But you could just get three pieces at once, that's easy to do. Just change the quest file reward amount from 1 to 3...done. EDIT: to make it three different pieces of three different charms, you just give three rewards on three different lines in the quest file. If you want three of the same, you change the amount in the quest file. About the relic, i mean the single pieces, instead of 1 piece dropped 3x, if 3x pieces are from random relic would be unique. Yhea i remenber that quest in act 5, oh thats why, its custome one ? must be a reason the relic doesnt drop ingame. i prefer the normal ones dropping tho. Custom relic can be a preatty nice reward from later top bosses (? ), on legendary. Thats the main reason i suggest to change some rewards of side quests, you face alot of danger/kiting/pulling your hair off ,because of quest monster and when you claim your reward is just a..a...a random yellow equipement , you will sell right away and sometimes its not even worth of the gold. Whoo hoo! First day off since October the 12th. The vacuum cleaner filled with cat hair three times, but at least I had time to do it today. Started work on merchants for formula. Came across a bit of an issue. 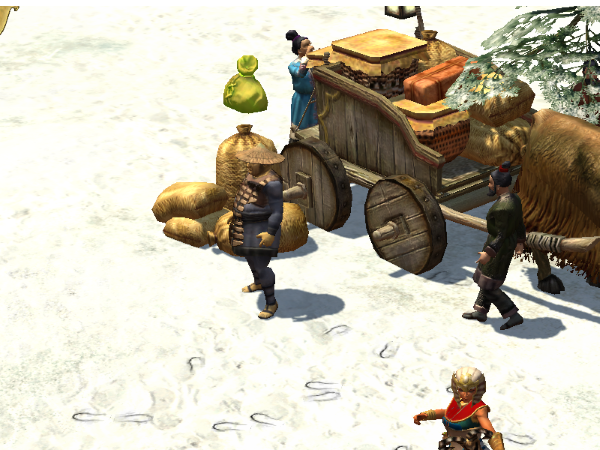 See, the little bag or scroll that appears over a merchant's head is assigned by the game engine. I can access the meshes that it places over their heads and the merchant files themselves, but the assignment is based on a dropdown selection of merchant type in the merchant file...that's the only control you have, the way is shut. Go to the database file that holds the mesh for a merchant's thingie over their head, I chose the general merchant so it ended up being in records/effects/objecteffects/shieldgeneral01.dbr. Copy it and rename it something else. Go to the actor variables entry in the original file and delete it. That's right, delete that mesh file entry with extreme prejudice! Next, I went and found all the general merchants in the npc/merchants directories in vanilla and the xpacks and made a list of all the meshes. Turns out all the greek, egyptian, orient and medea and most of act 5 are the same mesh. Then there was the satyr in the Monster Camp, my favorite merchant: the shade at the tower of judgement and a couple new ones in act 5. I copied their meshes and opened them in mesheditor and added a CreateEntity entry and attached the database file containing the copied original over-the-head-thingie for my new merchant and saved them. I still have to play with which attach point, but I got a couple working already. Auto create asset, build and then add the new custom meshes to the original merchant files. Can't tell the difference. Next I created a custom texture for the over-the-head-thingie (orange )and place it in it's own effect/objecteffect database file. Copy a NPC mesh, create entity entry in the textdata, save, create asset, build, add to my new general merchant. Bingo-bango, new merchant type. I am creating a new quest in Knossos. You know the empty pier on the north side of town? 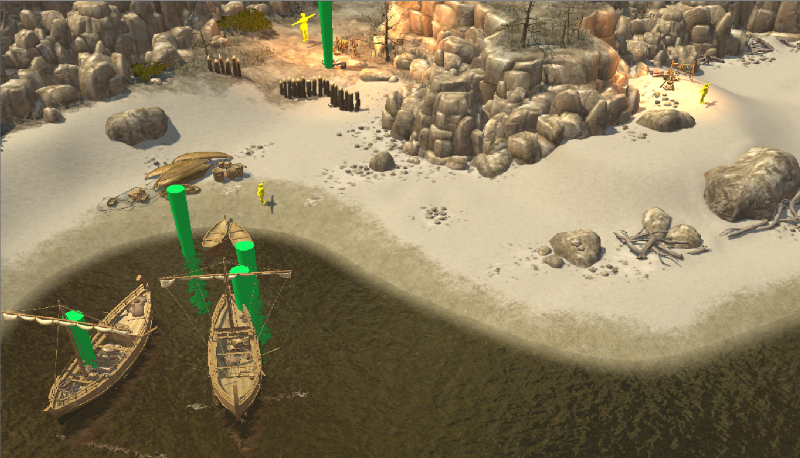 I added a boat dialog guy and he will take you to the dreaded Pirate Island. Up on the hill in Knossos by the minotaur statue is a "Shady Merchant". He will give you a quest to eliminate the pirates on pirate isle, and in return he can sell you monster infrequents from act 1. I may add this to the other acts later, too. It's making all the loot files that's so time consuming. I started on the map for pirate island, but it takes a long time if you want it good. Finished the Juggernaut ordnance today. Added the Winter Wolf mini boss with his own little map area to the first cave outside of the Western Silk Road town. Shadow Champions [WIP] : 10 new masteries! That's my Dream/Nature toon there in the pic. She died FIVE TIMES against the winter wolf. I used up all my scrolls of healing, too. Dang. EDIT: It was the lightning bolt stun that was killing me. Gave hum a chance to rush me and then freeze me, my Refresh and potions just coouldn't keep up. So I removed the lightning bolt skill and gave him Melinoe bloodboil instead. Also a Howl that causes fear and armor reduction. At least I can run away now. Winter wolf could have some kind of blizzard attack, that could have chance to decease your aiming/confusion and , slowing on moviment speed. the Melione Bloodboil skill can have a different effect, rooting effect, due of amoount of snow in the area. Nice find on how to edit those mechant symbols. Will definetly try that sometimes. Well, Pirate Island (Island of Korykos) is done. Along with two caves stuffed with bloodthirsty pirates. I have all the proxies in place and the two boatmen for traveling there and back. No minibosses, just three Pirate heroes and some golden chests. Next is to make the quest to hook it all together. Thanks to Endymion making a shield projectile mesh, I was finally able to create my dream shield skill: Shield Sling. It was really buggy at first. With the template skill_attackprojectile I added 1 projectile fragment and set it t the same projectile as the skill with min projectile amount set to 1 and max set to 1. So I tested it in game and it immediately shot 2 projectiles and fragments. Huh? So I set the template to skill_attackprojectileburst same thing. I don't know or care at this point, I'm just excited to finally be able to throw a shield. There isn't a template to throw your ACTUAL shield, that only works for arrows and throwing knives. But it does a nice amount of physical, always stuns and has a chance to shoot out 0 - 2 fragments randomly. Like I said, I set min/max fragments to 1 and it shoots out two. So I set min to 0 and max to 1 so it averages out to 1 in the end I guess. An, as I demonstrate in the video, it uses all damage. So juggys and paladins have some additional projectile damage now. EDIT: I'm going to remove the default arrow weapon trail and just leave the flight fx. Also, I am not sure I wouldn't rather it pierced than had fragments. It looks freaking fantastic !! pierce throught enemies its fine. Yeah, Winter Soldier is one of my fav all time movies now. Finished up the quest file, journal entries and dialog for the pirate island quest today. Dialog is frustrating, I mean, who is going to kill one pirate and then travel back to Knossos to talk to the quest giver? Well, gotta make a dialog for that and every other combination, too. Anyway, I am too tired to face the inevitable frustration, rage, disappointment and tears to test it today. And I switched shield sling to increasing piercing chance. The fragments are just too buggy.